Portfolio of Bumper DeJesus, multimedia producer, video editor and visual communications specialist for the Andlinger Center in Princeton University showcasing documentaries, webcasts and editorial illustrations. WINNER of two 2015 New York Emmy Awards for Best Documentary and Best Writing - Official Selection for four regional Film Festivals - Four men will vie for the honor, but there can be only one Washington crossing the Delaware. "Being George" is an eye-opening documentary that follows four historical re-enactors in a cutthroat competition to be the next George Washington and cross the Delaware River on Christmas Day. A 2014 New York Emmy NOMINEE - In a tour of the Hurricane Sandy ravaged Jersey Shore in the weeks after the storm, longtime reporter and shore resident, Brian Donohue, explores the emotional attachment people have to the Jersey Shore and what makes it so broad and deep. Donohue makes the case that the emotional and cultural value is a powerful and legitimate factor that needs to be considered as the shore is rebuilt. 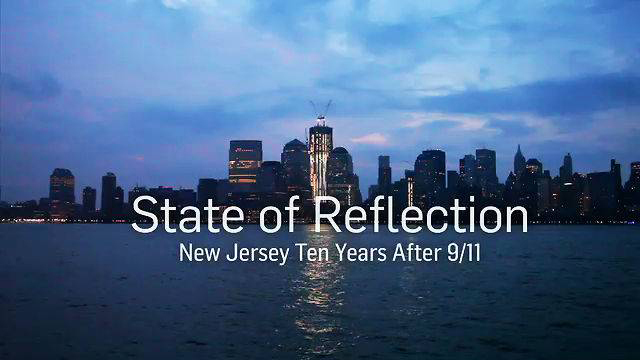 WINNER of the 2013 New York Emmy award in the Human Interest Program or Special category and WINNER of the 2012 New York Broadcasters Association Awards for Best Documentary - "State of Reflection: New Jersey 10 Years After 9/11", examines how the tragedy has changed the physical and emotional landscape of New York's sister state and explores the many ways New Jerseyans are honoring the lost. "On The Brink: The fight to save bees and our food supply" - Each year 2.5 million honeybee colonies crisscross the country, traveling from farm to farm, from the almond orchards of California to the blueberry fields of New Jersey, with one crucial job ­– to pollinate America’s crops. The pollination services these bees provide produces one third of our food and increases crop value in the U.S. by 15 billion dollars annually. Yet, few ever see these bees at work or know how the beekeeping industry that maintains them has been pushed to the brink of devastation. WINNER of 2014 New York Emmy Award in education programming - "Saving Shabazz" examines how a principal at an urban high school is using football-style coaching on the whole student body to improve grades. Malcolm X. Shabazz High School in Newark is a historic institution that is in academic disrepair. The school's newest principal, Gemar Mills, a former college football player, is enlisting the help of other faculty such as the school's head football coach, to promote self-discipline. It is year two, and so far, the numbers say that the game plan is working. WINNER of 2014 New York Emmy Award for writing - "The Choice: How Reconstruction Revolutionized the Treatment of Breast Cancer" explores the ways surgical advances have given patients more control over their recovery -- and the new set of deep difficult questions they must confront over body image and personal identity. Four women who faced the time-sensitive decisions about mastectomies recount their struggle through questions over physical appearance, changes in sexuality and the psychological effects of surgery.